All That Spam: Sorry, I wasn't ignoring you. Sorry, I wasn't ignoring you. 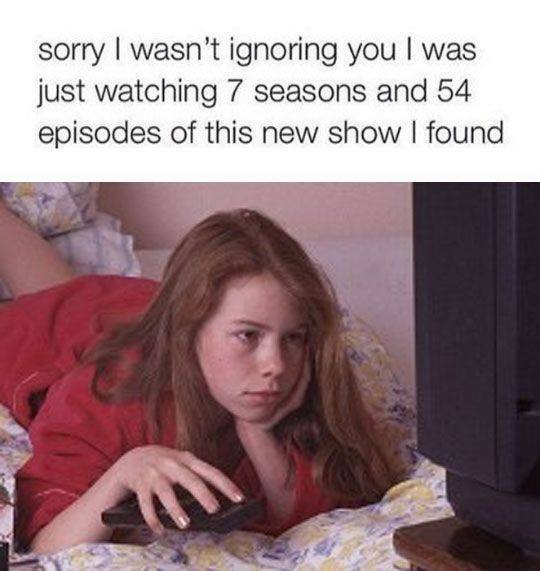 Sorry, I wasn't ignoring you. I was just watching 7 seasons and 54 episodes of this new show I found.